is an installation consisting of images, text, video and sound telling a story of a person. Rather than a coherent narrative, it is a group of fragmental speculations and interpretations. 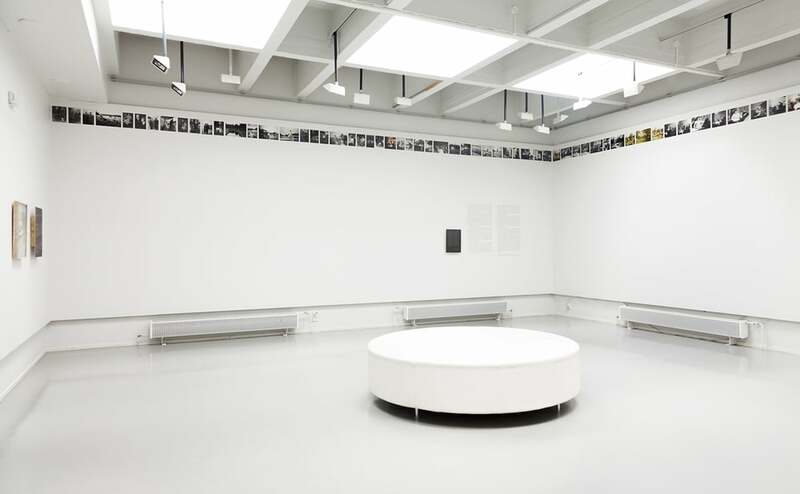 The basis of the installation are one man’s photo albums. Since he had no rememberers after death, they are the only tangible thing left of his life. Based on these three albums, six persons working in various fields made their interpretations. (A) Life includes contributions from Finnish authors Anna Kortelainen and Maria Peura, private detectives Pentti Lintunen and Susan Aerts-Lintunen, poet Kasper Salonen, and doctor of medicine Amos Pasternack. Furthermore the photos that are excerpted from the albums reconstructs their own story. In addition to interpretations there is another narrative present in the space, elaborating the artistic process via text Prologue and video Epilogue. The work was exhibited in Photographic Gallery Hippolyte in Helsinki, Finland and Photo Centre Peri in Turku, Finland in spring 2015.